Frequently Asked Questions #24 - YeastInfection.Org by Eric Bakker N.D. It takes forever for my bruises or cuts to heal. Why is that? If you are one of those people whose bruises or cuts take forever to heal, you are not alone. Some wounds tend to take longer to heal. This can be due to poor nutrition, compromised immune system, a bacterial infection. If your body is not being properly nourished and you are deficient in proteins, vitamins and minerals, it will take your body longer to heal due to the body’s inability to heal. An elderly or a baby whose immune system is either compromised or weak are also at a high risk of longer healing. This is because their body doesn’t have the strength and the immunity to heal, exposing the wound to potential bacterial overgrowth and dangerous infection. There are some medical conditions that can also contribute to slow healing. Diabetes is one of them. Due to the impaired and uncontrolled blood circulation, diminishing the transport of oxygen and nutrients to your cells which slows down the healing process. If you are unsure about having diabetes, you can check to see if you can get tested. Keeping diabetes under control can contribute to a better and longer lifestyle. Another reason can also be the presence of a heavy candida growth in the body. 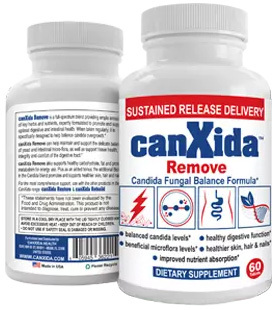 Several studies have been conducted to demonstrate that if there is a candida overgrowth in the body, chances are the wound heals very slowly or can get infected. If unsure about having candida, you can speak with your primary caretaker to get tested for candida. Going through a candida cleanse can help with helping your body heal faster. The skin on my feet is peeling and it has been really itchy. What could be the reason? Also known as athlete’s foot (tinea pedis), the condition is a sign of a possible fungal infection of the skin. Starting at the toe (usually between toes), it often spreads to other parts of the foot. It looks like a scaly rash which most often itches, stings or burns. If your feet get sweaty often when wearing tight shoes, you can get athlete’s foot. It is contagious so be careful to not contaminate towels, floors, clothing or any other shareable times. This specific skin condition can be treated by using over the counter cream. However, if the cream seems to be ineffective, you may want to see your doctor who can prescribe something strong to help treat it. To prevent yourself from getting athlete’s foot, don’t stay too long in damp socks or shoes. This fungus thrives in warm, moist and dark conditions. Make sure you don’t wear tightfitting socks or shoes as it can cause sweating. Do not walk barefoot in the public areas. Always keep toes and feet dry. One other risk factor of athlete’s foot can be diabetes. To rule out diabetes as the cause, speak to your doctor to get your blood sugars tested. Diabetes related symptoms can also include ulcers and damage. Therefore, it’s important that you get your blood sugars under control if that is the case. The good news is that having athlete’s foot does not mean you will get jock itch, which is a different kind of candidiasis. Watch Erik Bakker go over this topic in this video. Why do I have the need to pee all the time? The need to pee frequently can be as simple as because you drink a lot of water or liquids throughout the day. On the flip side, it could be due to a medical condition: polyuria. Polyuria is when one urinates more than 3 litres a day or more than 6 to 7 times over a 24 hour period than what is considered as normal. If you are certain that your need to pee frequently is medical, you should speak to your doctor to find the root cause. Early treatment and prevention can help with efficient management. Peeing frequently can affect the person’s quality of life rendering them anxious about having to pee no matter where they are. Diabetes can also be a cause of frequent urination. Pregnancy also causes the need to pee often. A urinary tract infection can be another culprit of the urination problem. To find out what the cause of your issue is, your doctor may ask you an array of questions to properly diagnose. Based on the diagnosis, treatments can be tailored to your needs. If you have diabetes, you will be asked to control your sugar levels. For a bacterial kidney infection, you will be put on an antibiotic treatment. Due to an overactive bladder, an anticholinergic may be prescribed. If you do end up using antibiotics, ensure you are taking good quality probiotics to help keep your gut flora balanced. Why is my big toenail turning white? Toenail turning white is due to a nail fungus called onychomycosis. When a typical fungal infection develops, the toenail turns yellow or brown. It looks thick and overgrown. As the infection grows, the nail weakens and eventually falls out. But with superficial onychomycosis, the toenail turns white and feels soft, dry. This usually occurs if the person plays a lot of sport, wears tight fitted shoes, has bad food hygiene. Usually, toenail fungus can heal on its own. However, it is a long lasting condition which requires persistent treatment. To prevent your toes from getting fungal infection, always keep the area dry. Wear shoes that are well fitted. Always keep foot covered in public areas. Keep your toenails trimmed. To treat the toenail, your doctor may have to trim the nail as much as possible. A topical fungal cream can help with the infection. If the infection is severe, your doctor may prescribe an oral medication. If the nail is resistant to treatment, it may be removed surgically.